Whether you’re a budding amateur, someone who’s looking to dip their toes into the professional world, or even just an individual looking to dabble in videography – a few things are for certain: you’re going to need your very own camera, lights, and audio equipment. Also, you’re most likely going to need it on a budget. While we live in an era of immense choices, to the average shooter, the wide array of selection can appear to be convoluted; lights, mounts, audio, and of course, cameras are ‘a-plenty. Fear not, for around $1000, you can own your very own professional kit and get to shooting faster than ever before. No videography set is complete without a camera, just like no first-aid kit is complete without bandages. These three cameras range between the prices of $500-$700, and will be the bulk of your budget. Instead of jumping in head-first and buying a pro video camera, you can get nearly the same quality by investing in a digital SLR that can record video. The Sony A3000 effortlessly captures stunning 20 megapixel photos and full HD videos, using the same technology found in Sony’s full-sized DSLR cameras. Since this guide is for videographers and not photographers, the A3000 shoots just like the real thing. The camera can shoot videos in standard 60i or cinematic 24p, all in Full HD at 1920x1080 resolution. This is a great learning camera for those who wish to experiment with the basics of filming techniques. Another great option – especially one where recording time is essential – is the Panasonic LUMIX DMC-G6. A great feature in this interchangeable lens camera, is its ability to shoot 1080p60 for the price it is listed at. The camera also contains 19 effects, In-camera retouching, and a mirrorless form factor – allowing you an endless amount of options in lens interchangeability. The Canon EOS Rebel T3i is the most budget friendly camera on the list. It contains all the essentials: DSLR form factor, 1.6x crop factor, and shoots in 720p60. Perhaps the most alluring factor of this camera for video purposes is Magic Lantern, by Trammell Hudson. Magic Lantern is a free software add-on that runs from the SD/CF card and adds a host of new features to Canon EOS cameras that weren't included from the factory by Canon. Definitely a game changer. If you want more information on lenses, I cover how to choose lenses for DLSR cameras in detail here. 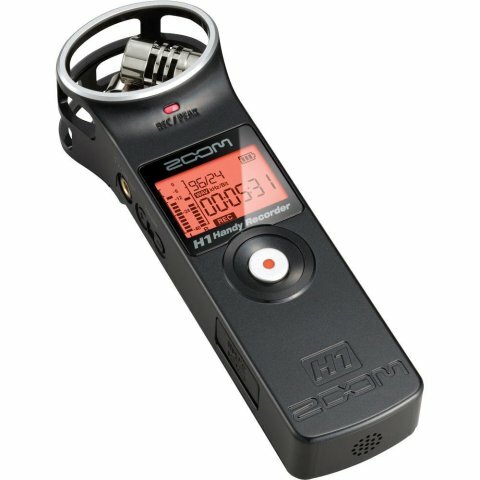 The Zoom H1 Handy Portable Digital Recorder features a stereo X/Y microphone configuration that captures perfect stereo sounds. It records Broadcast WAV (BWF) at 96kHz/48kHz/44.1kHz at 16-bit or 24-bit, and MP3s from 48-320kbps. This DVR features a hi-speed USB 2.0 port, and acts as a stand-alone device, rather than a connector to your camera. 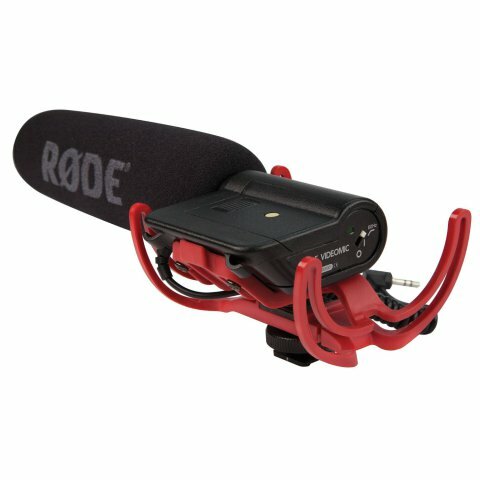 The Rode Videomic Shotgun Microphone with Rycote Lyre Mount, is designed for use with any consumer grade digital camera. With an integrated shock mounting system that isolates the electronics and VideoMic capsule from the metal shoe, the Rycote prevents any interruptions in sound quality. 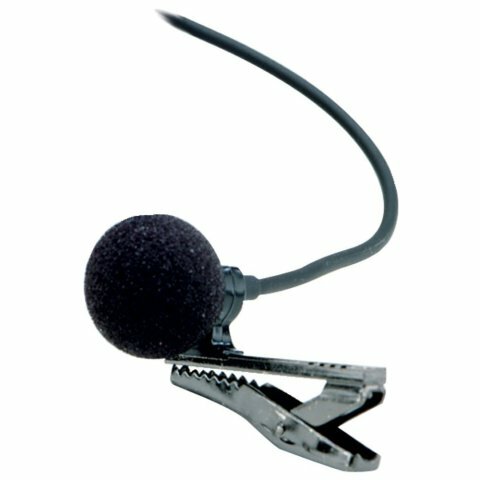 The mic can also attach to standard boom pole threads, making it the perfect head for a boom mic. Lavaliere mics are essential for capturing interview audio with ease and discreetness, and the budget-friendly AZDEN EX503 Omni-Directional Lavaliere Microphone does it flawlessly. Simply just plug it and go; it even works with smartphones. If you’re looking to shoot any sort of professional video, you’re going to need a quality light kit. The NEEWER Ultra High Power Panel Digital Camera Lights are perfect when you’re on the go and cannot bring your entire kit along with you. 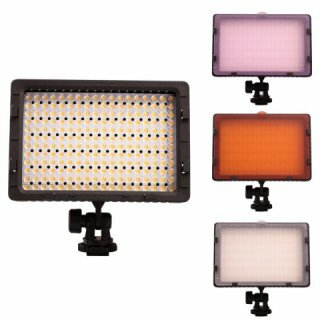 These mounted lights are not just great for shooting in the dark, but with 4 interchangeable slots on the 4 sides, you can combine the lights together to achieve some colorful effects. 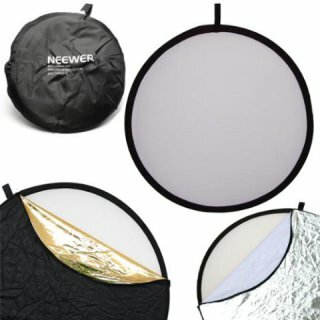 No lighting kit is complete without some quality reflectors, and the Neewer 110CM 43" 5-in-1 Collapsible Multi-Disc Light Reflector is great for translucent softening, contrast, warmth, all around outdoor light manipulation. 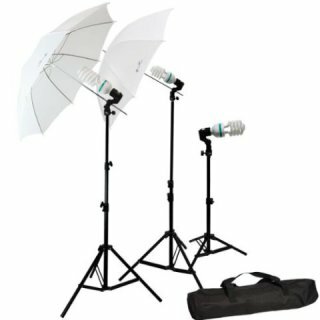 Finally, the LimoStudio-Photography Umbrella Continuous Lighting Kit is the final piece you need to create a quality three-point light set-up found in a professional studio. 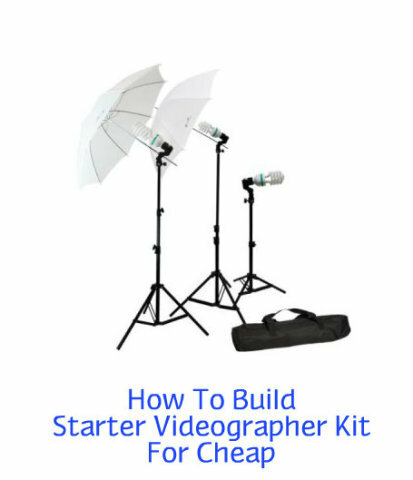 So, with about US$1000, you can own a professional videography kit. While many of these items may not be the top of the line, they are more than enough to get you on your feet in the world of videography. Got any other recommendations? Comments or concerns? Let me know below, and happy shooting! How Do Humans Want to Interact with Robots?